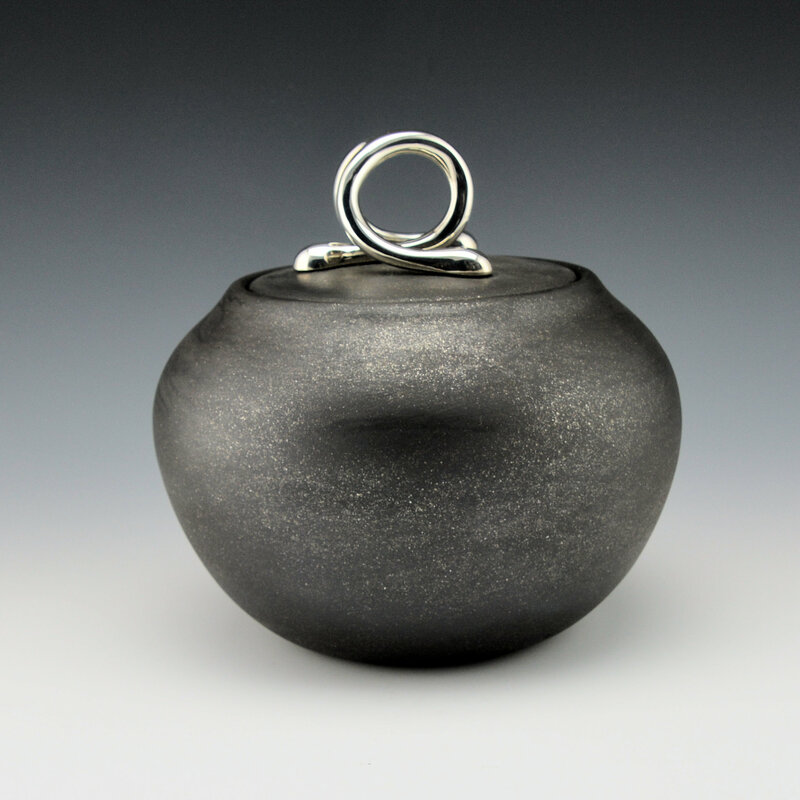 This bowl is made of micaceous clay and reduction fired. The lid fits perfectly and it is surmounted by silver finial which Joel has made. Amazingly, he is as much a jeweler as a potter and an architect! 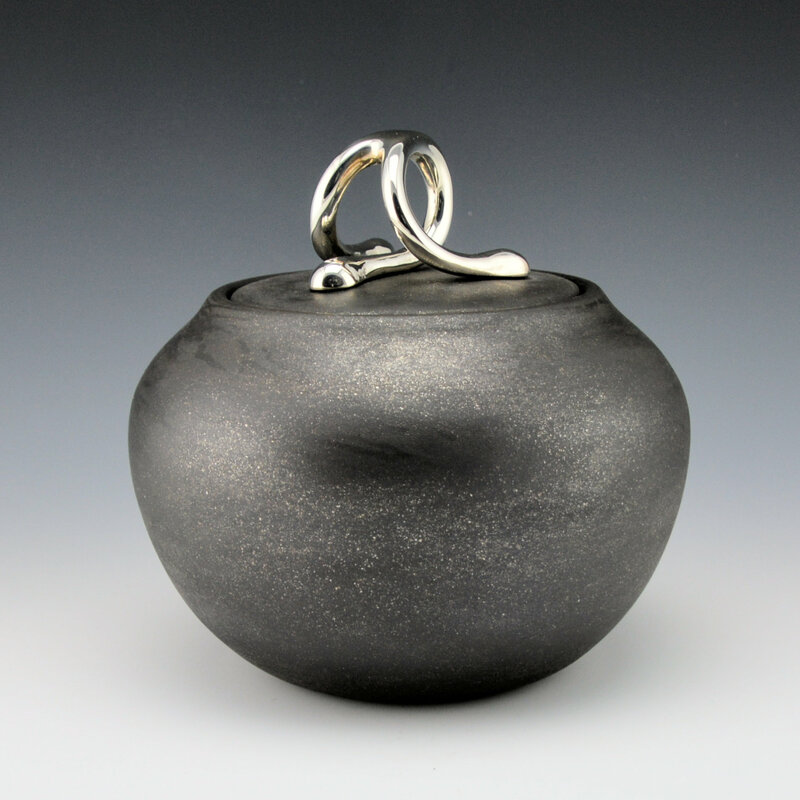 This bowl is called, “Hindsight” and the shape of the silver piece captures the name perfectly! 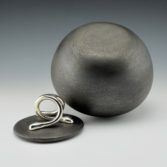 The silver piece is made from the lost wax method in which he carves out the shape in wax and then casts it in silver. It is attached using padded screws so that it will not damage the clay. The shape and motion of the silver work creates a very organic appearance in combination with the simplicity and sparkle of the black fired micaceous clay. 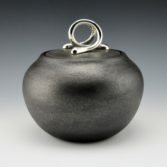 Joel’s pottery can be found in museums such as the IAIA Museum, the Boston Museum of Fine Arts/Peabody Essex and the Heard Museum. His work is unique and timely and definitely a potter to watch!